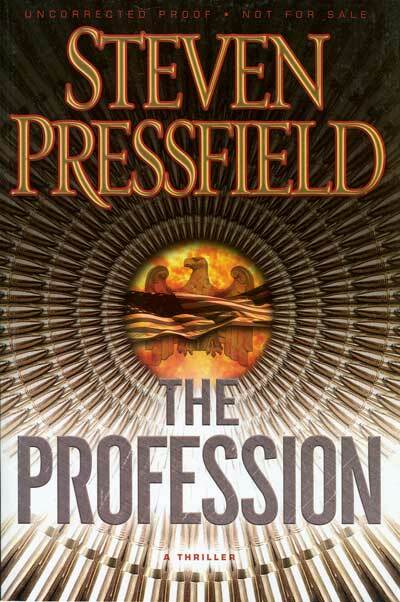 Steven Pressfield, Callie Oettinger, and Shawn Coyne are doing a fantastic job at Steven Pressfield Online, giving fans and friends a peek behind the curtain as they ramp up to the release of Steven’s next book, THE PROFESSION. Not only are they sharing the planning, execution, and results of the book’s publication campaign–they’re sharing the actual book. I am lucky enough to have an advance copy of THE PROFESSION, and I’ll be posting my thoughts as I read it. No spoilers or plot points, just how the story makes me feel as a reader.